Courtesy Allen County Public Libary This undated photo in the Allen County Public Library's Community Album shows the interior of one of the library system's bookmobiles. It's been decades since a bookmobile traveled Allen County roads, but the rolling libraries haven't gone the way of the Model T. Stateline, an online publication of the Pew Charitable Trusts, reports there are almost 650 bookmobiles on the road today. “Despite the decline, librarians say their services remain vital, especially in rural areas, where people often live far from their library branch and have limited internet access,” according to Stateline. It was the addition of two new branches in Allen County – Dupont and Aboite – that prompted the Allen County library system to retire its bookmobile from service, according to Jeff Krull, retired library director. Steve Fortriede, who retired as associate director, said some of the last routes served area nursing homes and assisted-living centers. He began his 42-year career with Allen County Public Library as a bookmobile driver in 1967. 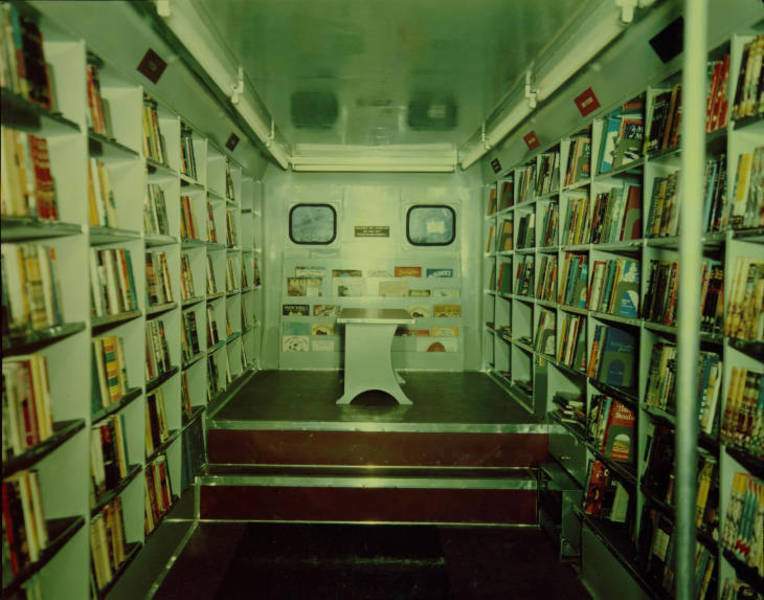 At the height of its bookmobile days, Allen County Public Library had seven trucks, according to Fortriede. Fortriede said a bookmobile played a key role in one of his most memorable library stories. He had joined Fred Reynolds, the Allen County librarian credited with building the library's genealogy collection, and Reynolds' longtime assistant director, Robert Vegeler, at a meeting of the Indiana Library Association after the two men retired. Recalling their workday memories from many years before, Vegeler confessed he once drove a bookmobile down Scipio Road and neglected to fasten down the truck's side flaps. Some books had tumbled out, and they were in such bad shape he decided to pitch them. In rural communities, library patrons still care about bookmobiles. Kentucky, with 75, has the most of any state, according to Stateline. LaGrange County appears to be the nearest Indiana community still maintaining bookmobile service.